Choo (left) with Izrin at the launch of the collection in Kuala Lumpur. 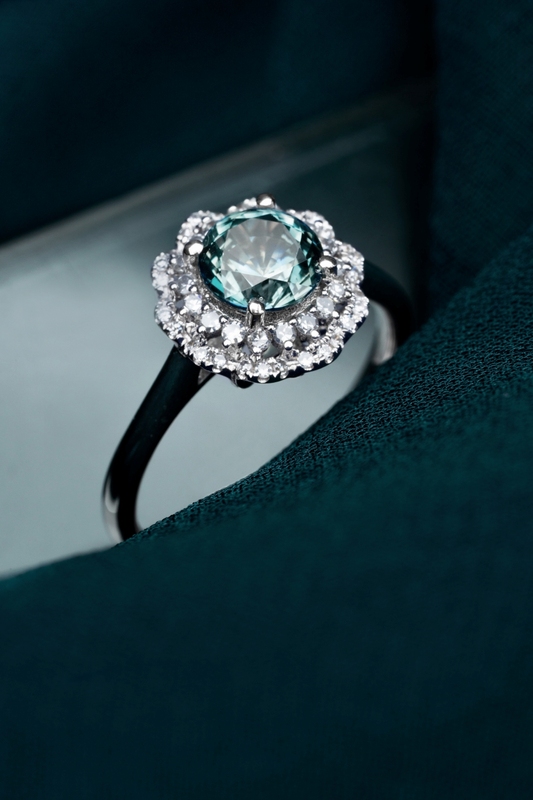 Choo Yilin’s engagement ring uses coloured sapphire as its centrepiece. This design has been updated with patterned fabric and a ruffled hemline. Diaphanous windows makes the design more sensual. Patterned pieces are combined with blank fabric to give the cheongsam a more interesting finish. INNAI Red has always dazzled. Its use of fabric such as brocade and taffeta give the dresses structure, while its colour choices are elegant and eye-catching. Designs are further enhanced by beadwork and embroidery, as well as strategic placements of diaphanous fabric. These hallmarks can be seen in the label’s 2019 Chinese New Year collection, which consists of 14 updated cheongsam designs. The brand look to stylish Peranakan women of old Penang for inspiration and the designs are done in collaboration with Singaporean jeweller Choo Yilin, who is well-known for her heritage-inspired pieces. “It was special working with Choo Yilin because we share the same aesthetic and narrative of highlighting our Asian heritage,” says Innai Red founder Izrin Ismail. This follows Innai Red’s debut Chinese New Year release last year called Lady Jade. 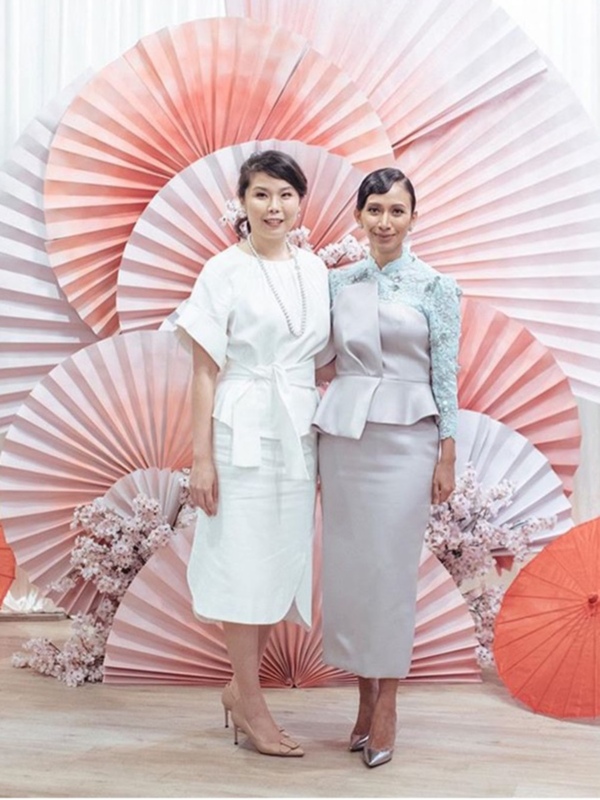 With its experience in designing contemporary pieces and updating traditional Malay outfits, Izrin says there is no awkwardness nor lack of experties for the brand to give its own take on classic Chinese garments. While the 14 pieces come in varying hemlines, sleeve lengths and fabric, they all come with a high collar neckline that is a standard identifier of the cheongsam. Each piece comes with handmade Chinese buttons to further accentuate the traditional element. One design comes with trousers, which is not un-traditional. But other details are less conventional, such as single slits on the side or back, ruffled hemlines and looser skirts. The colours that Izrin showcased are mostly soft pastels, despite the widespread association of the festival with red. That said, this is a made-to-order collection and not ready-to-wear, so customers can ask for red if they want to. “We use pastels because that’s what our customers are drawn to, rather than the bright colours that you usually find in the market,” says Izrin. “We feel that people are trying to turn away from red and go for soft yellow or emerald green. “It’s become like Hari Raya as well where whole families would have a theme colour, instead of always sticking to red. And when they do choose red, it’s not that standard bright red. More often it’s maroon or deep burgundy,” she explains. Meanwhile, the collection uses fabric such as brocade, charmeuse silk and embroidered tulle. See-through fabric is infused onto the neckline or skirt next to silk to give a sensual touch to the garments, while patterned pieces are combined with blank fabric for a more interesting finish. “Our customers feel that there’s longevity in our designs, compared to a traditional cheongsam. It’s not just for the festive season but also weddings and tea ceremony. We also get asked to make the designs into a two-piece so they can wear the top with regular trousers. 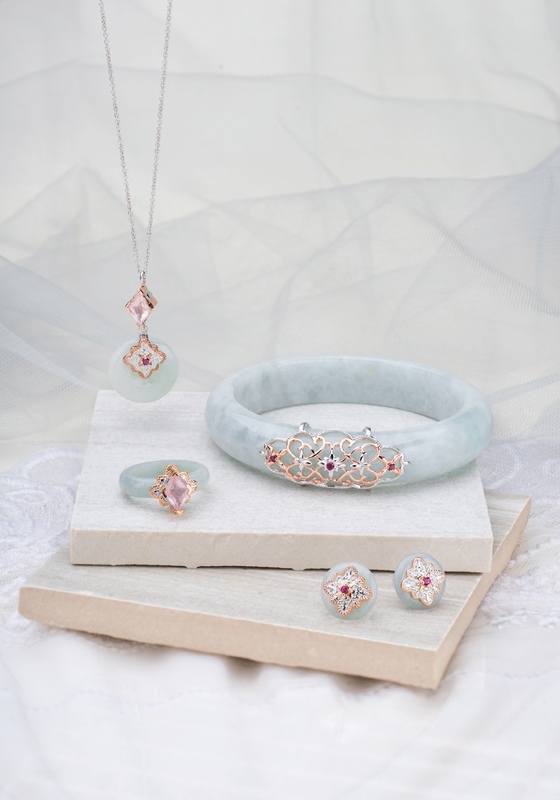 CHOO Yilin is a Singaporean jeweller and her eponymous brand specialises in jadeite and semi-precious gemstones. She has a flagship boutique in Orchard Road in Singapore and plans to open a store in Kuala Lumpur this year. With names of collections such as Kebaya and Bamboo, it’s clear that the brand leans heavily on themes of heritage and culture. Her rings, earrings and bangles are crafted from solid jadeite of various shades, embellished with sparkling gems and intricate metalwork. I mention to Choo that most of my friends who celebrate Chinese New Year don’t wear cheongsam during the festival and she is shocked to hear it. Apparently they do across the causeway! Meanwhile, Choo’s jewellery are also significant for their fresh take on classic designs. She works predominantly with jade because of its traditional symbolism, but she also recognises other aspects of Asian culture when it comes to designing non-jade pieces. Instead of colourless diamonds that are typically the centrepiece of engagement rings by Western jewellers, hers use coloured unheated sapphires. But worry not, there’s still plenty of diamonds surrounding the main gemstone to confirm its opulence factor. “Asians don’t associate white or colourless with celebrations. You tend to think of strong, rich colours and it’s been like that throughout our history,” says Choo. As Choo works to give contemporary jewellery an Asian aesthetic, she’s also updating pieces that are significant in Chinese culture for the modern crowd. This includes Si Dian Jin jewellery sets for the practice of the mother-in-law gifting four gold jewellery to her new daughter-in-law. So the mythological creatures are given a design makeover and appear as ornate metalwork on jade bangles and embellished by gemstones. It’s understated yet meaningful — it’s Choo’s way of showing that brides can maintain their modern style preference without having to sacrifice age-old traditions.